Moustaches for the smile lines. It is what it is. Possibly my very late Movember tache. These are made with the same material as the cheek masks I had reviewed a few months back. Gelatine and very delicate. My nail did pierce them. No surprise there. There is a good amount of moisture however these did keep slipping off. It’s meant to be left on for 20-30 minutes but I did get annoyed and had these on for 10 minutes instead. If these were thinner or made from a different material, it would stick on better. They did leave a slight sticky feeling on the skin afterwards. Took a while for it to be fully absorbed into the skin. Once it did, I couldn’t really tell a difference in terms of skin moisture as well as reduced lines. I honestly do not know how these would be effective in reducing the smile lines in the long run. It is cheap and a fun novelty to try out one time in your life but in the long run, it’s not really effective. 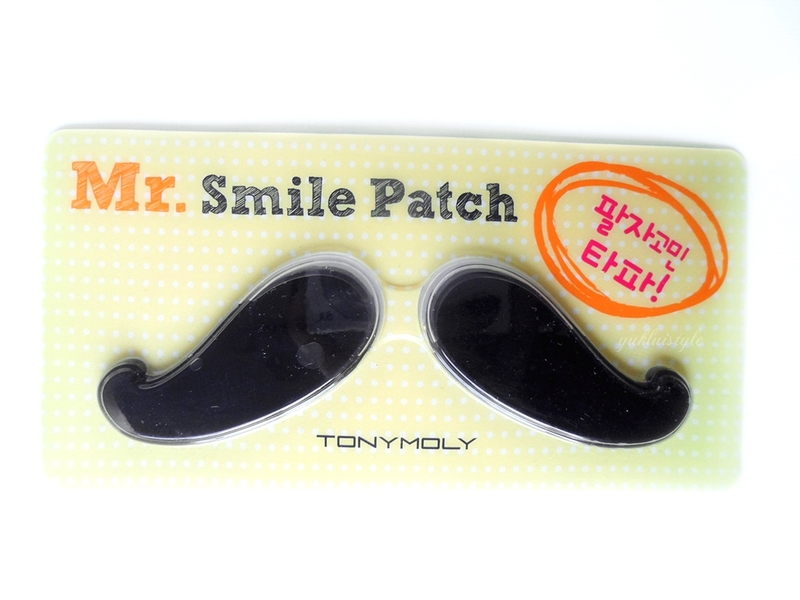 Oh Tony Moly and your innovative designs. Very unique indeed. Its not something I would personally buy for myself but I know a couple of women that would love them, mainly because they are something different. Hahaha these look so much fun!too bad the product itself is not that goood! wow i am amazed there so many different types of "mask" that cater for different problems! haha this is really one unique one! I'd try it for fun but the fact that they do not stick well is such a bummer! Probably not, to be honest…I don't have a lot of patience for these type of things, I'm always a bit dubious as to results! I don't know why I keep buying masks when, to be honest, they all kinda achieve the same result (which is nothing particularly obvious)! I guess there is no harm laying in bed with these on your face in the evening. I've seen these pop up a few times throughout the blogging community and they are definitely a unique product. Oh, well not what I thought this was, I actually though it was a fake moustache! Interesting all the same! Haha this is so cute! I have a couple of these but not actually tried out yet! I've had similar slipping problems with other stuff but use it as an excuse to lie down with them on! I was thinking about picking this up. Thanks for the review! They look so cute.